Oil prices fell on Tuesday as both WTI and Brent look set to close out July with the biggest monthly loss in over a year. 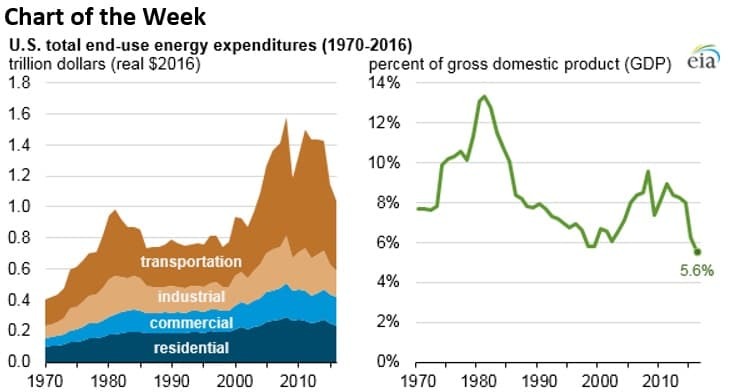 - U.S. energy expenditures fell for the fifth year in a row in 2016, falling by 9 percent to about $1 trillion. - Total expenditures on energy were the lowest since 2003. - At 5.6 percent, it was the lowest percent of GDP spent on energy, adjusted for inflation, since at least 1970. • Transocean (NYSE: RIG) rose nearly 4 percent on Monday after reporting a smaller-than-expected loss in the second quarter. It was the first full quarter of operations for all five of its newest ultra-deepwater drillships and four semisubmersibles it recently acquired. • Range Resources (NYSE: RRC) jumped more than 3 percent after-hours after reporting its second quarter earnings more than tripled from a year earlier. Second quarter production jumped 13 percent to 2.2 million cubic feet per day. • TransCanada’s (NYSE: TRP) Keystone XL project earned a mostly positive review from the U.S. State Department, which determined the project’s route would have no significant environmental impacts. The project still faces some hurdles in Nebraska. BP profits jump. BP (NYSE: BP) saw its profits rise in the second quarter by fourfold, and unlike some of its rivals, it avoided punishment from Wall Street. The strong results were welcomed, and BP’s CEO Bob Dudley used that good will to make a case for stepping up investment for growth. BP announced a $10.5 billion acquisition of BHP’s shale assets in recent days. “We’ve turned around and retooled the company over seven years,” Dudley said in a Bloomberg television interview. “It shows more confidence than we’ve had in a long time.” BP also hiked its dividend last week for the first time since 2014. Permian pipelines beginning to bottleneck. Permian pipelines are starting to max out, according to data from Kayrros. That means that price differentials are set to widen through mid-2019 as production continues to edge up. The earliest relief will come from the BridgeTex pipeline expansion, which will come online in early 2019, but it will only add 40,000 bpd. 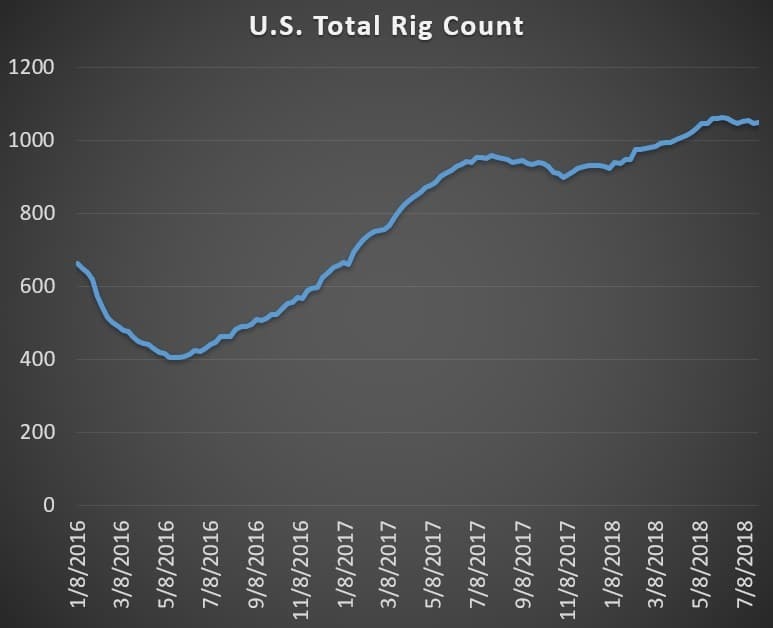 The bottleneck is expected to force a slowdown in production growth, and Morgan Stanley estimates that the Permian might only be able to add 360,000 bpd next year, down from the Wall Street consensus of about 650,000 bpd. Trump plans to water down fuel efficiency standards. The Trump administration is expected to unveil a deregulatory effort aimed at fuel efficiency standards in cars and light duty trucks. The effort will freeze Obama era regulations after 2020, requiring automakers to average a fleet wide corporate average fuel economy (CAFE) at about 37 miles per gallon, instead of allowing those standards to steadily rise to above 50 mpg through 2025. The proposal could lead to increased fuel demand by about 500,000 bpd through 2029. The crucial and controversial component would be the federal government’s attempt to strip California of its authority to set its own standards. It is almost certainly headed for a protracted legal fight. Why did Saudi Arabia cease oil shipments through Bab el-Mandeb? 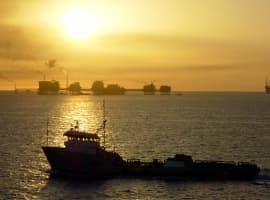 Reuters looks into the question of whether Saudi Arabia had political motives when it halted oil shipments through the Strait of Bab el-Mandeb last week. Because other exporters did not suspend shipments, Saudi Arabia’s move is curious. Saudi officials could be trying to draw western powers into the war with Yemen by sounding the alarm on the threat to oil shipments, or it could be putting pressure on Europe to take a harder line on Iran. India cut imports from Iran. Indian refiners reduced their oil purchases from Iran in June by 12 percent compared to May. India imported 664,000 bpd from Iran in June. For the full second quarter, India imported 715,000 bpd from Iran, which was up 45 percent from the first quarter. “We maintain our estimate of a disruption to Iran’s crude exports of almost 700 kb/d, but India will be the biggest swing factor,” Barclays wrote in a note. India is the second largest buyer of Iranian oil after China. Pioneer to sell West Panhandle assets for $200 million. Pioneer Natural Resources (NYSE: PDX) agreed to sell all of its oil assets in the West Panhandle field in Texas for $201 million to an undisclosed buyer. U.S. Silica (NYSE: SLCA): Q2 EPS of $0.64 misses by $0.05. BP (NYSE: BP): Q2 EPS of $0.85 beats by $0.01. Transocean (NYSE:RIG): Q2 EPS of -$0.04 beats by $0.13. Diamond Offshore Drilling (NYSE:DO): Q2 EPS of -$0.33 beats by $0.05. Chevron (NYSE:CVX): Q2 EPS of $1.78 misses by $0.31. 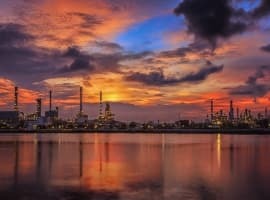 Exxon Mobil (NYSE:XOM): Q2 EPS of $0.92 misses by $0.35. 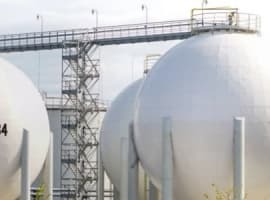 Imperial Oil (NYSEMKT:IMO): Q2 EPS of C$0.24 misses by C$0.35. Phillips 66 (NYSE:PSX): Q2 EPS of $2.80 beats by $0.61. Weatherford (NYSE:WFT): Q2 EPS of -$0.16 beats by $0.02. Cabot Oil & Gas (NYSE:COG): Q2 EPS of $0.13 misses by $0.06. Marathon Petroleum (NYSE:MPC): Q2 EPS of $2.27 beats by $0.24. ConocoPhillips (NYSE:COP): Q2 EPS of $1.09 beats by $0.01. Valero Energy (NYSE:VLO): Q2 EPS of $2.15 beats by $0.17. EQT (NYSE:EQT): Q2 EPS of $0.44 misses by $0.03. Total S.A. (NYSE:TOT): Q2 EPS of $1.31 misses by $0.02. Royal Dutch Shell (NYSE:RDS.A): Q2 EPS of $0.56 misses by $0.15.